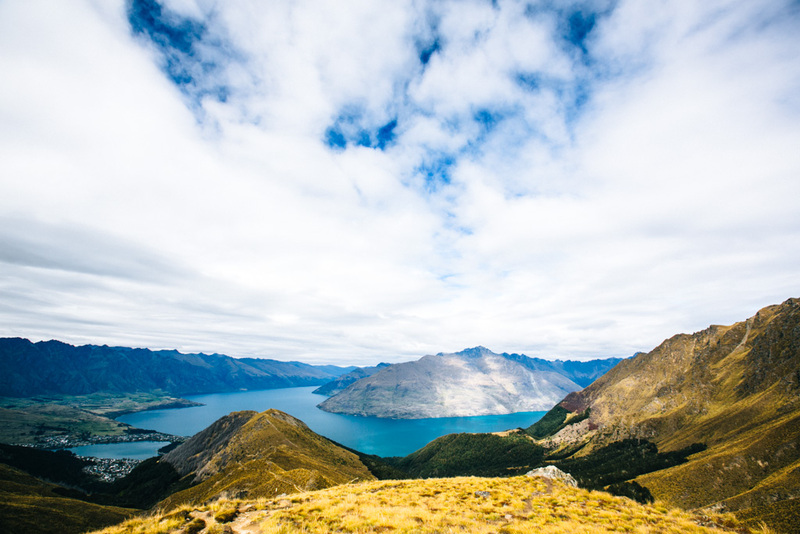 Queenstown is indisputably an outdoor adventure paradise. 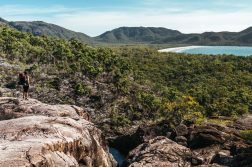 From cycling and epic hikes to scenic flights and about 100 other activities, I’d move there in a heartbeat if it were on the beach. 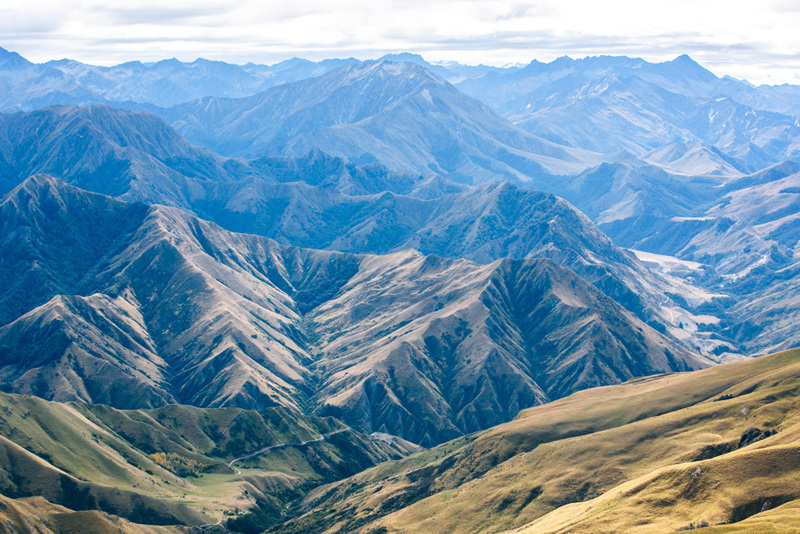 But for those who prefer mountains to beaches, Queenstown might as well be heaven. And for those who might be visiting Queenstown without a car (e.g. 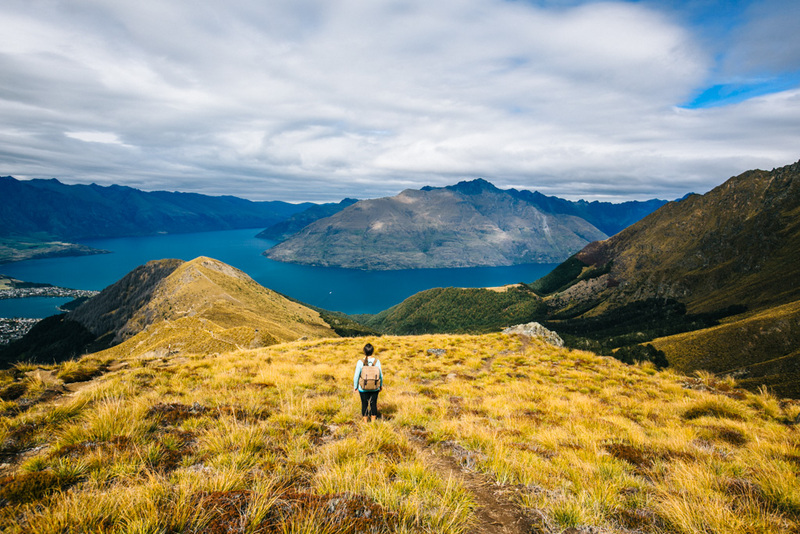 me, circa 3 months ago), I’m delighted to report that one of Queenstown’s best hikes is easily accessible from town – no driving needed. 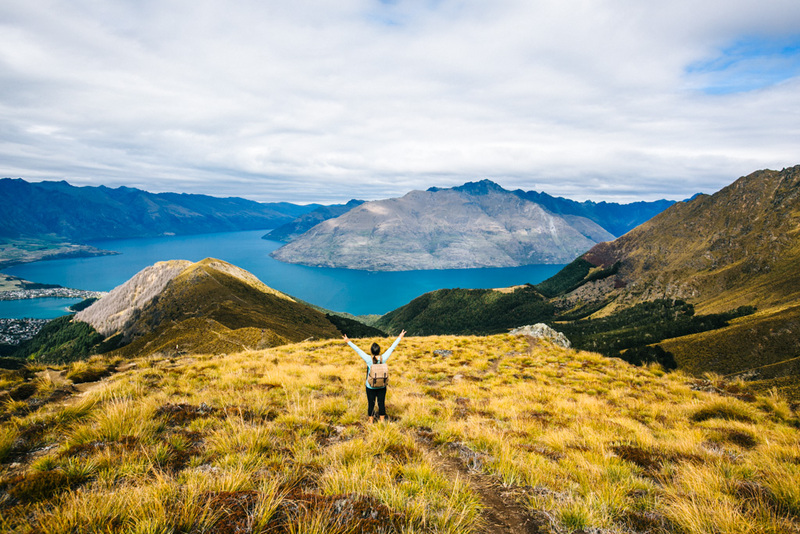 Here’s a quick guide to hiking the Ben Lomond Track in Queenstown (well, more of a photo essay really – you’ll see why!). I was skeptical of just how epic the Ben Lomond Track would be after taking in the view from the Skyline (the gondola-accessible viewing platform just above town). 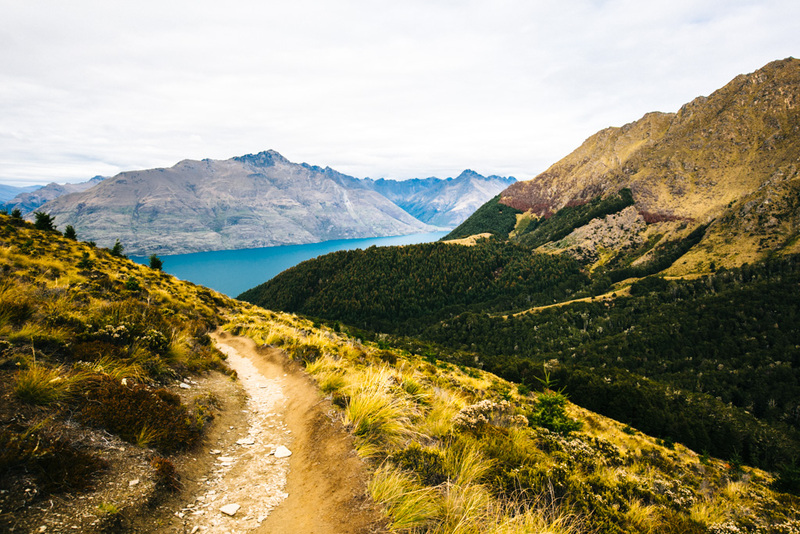 The track makes its way above the Skyline, going much higher up but overlooking Lake Wakatipu from a similar angle. 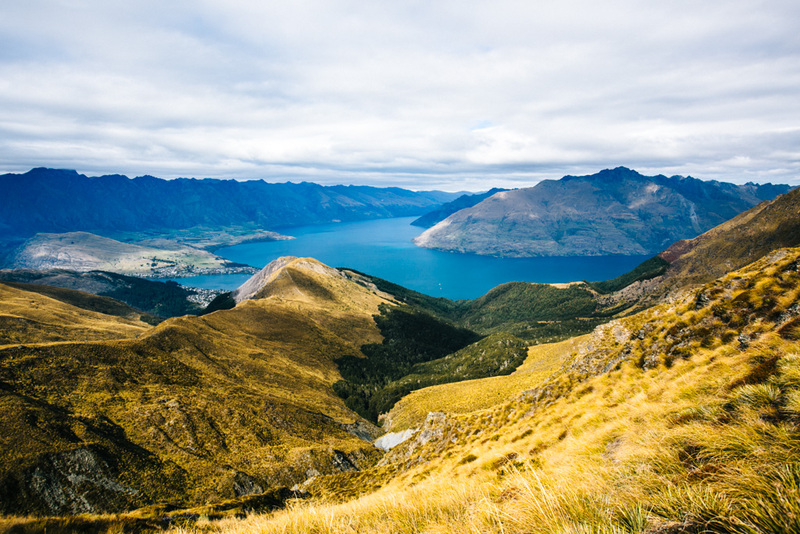 Believe me: it is absolutely worth hiking the Ben Lomond Track and going all the way to the summit. 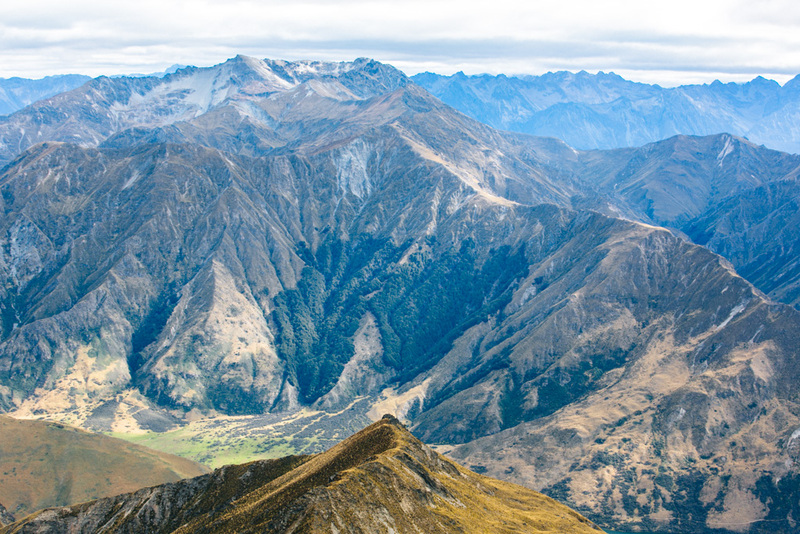 At the very top, you’ll get to enjoy 360-degree views that just aren’t possible down below at the Skyline or even at the Ben Lomond Saddle. 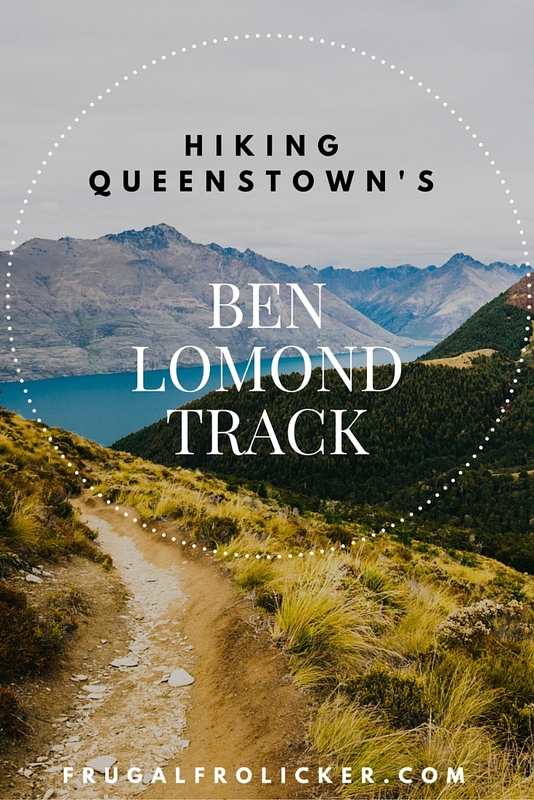 To start the hike to Ben Lomond, plug in “Ben Lomond Track” on Google Maps and it’ll reveal an easy route that takes you to the western side of Queenstown and up to the trailhead. Basically, you just walk west across the Esplanade, and when you hit the 4-way roundabout you take the exit to your right (the one heading north) and follow signs for Ben Lomond. The first part of the trail (about an hour or so) runs beneath the tree line, so you’re in the forest and shielded from the sun. Watch out for the mountain biking trails that run alongside and intersect the track at various points. Soon you’ll pop out into the open air and leave the trees behind, going up up up to the Ben Lomond Saddle. 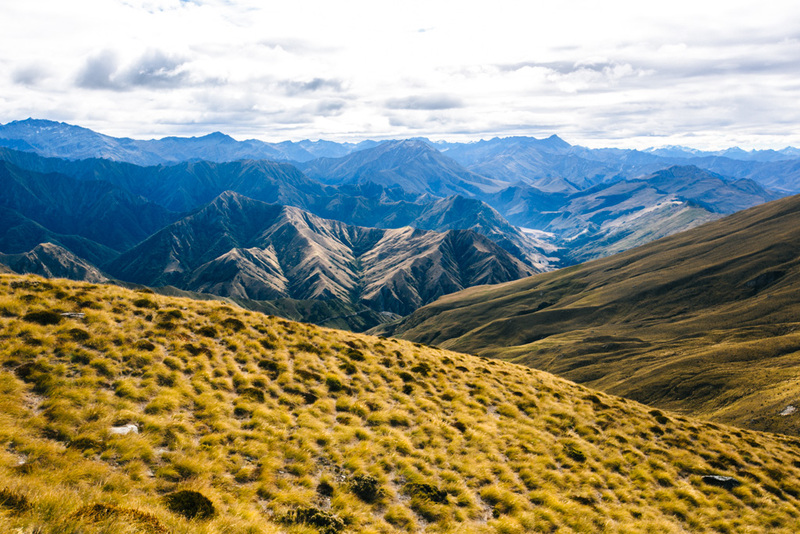 It’s not a strenuous hike, just a constant gradual uphill trek to the saddle. 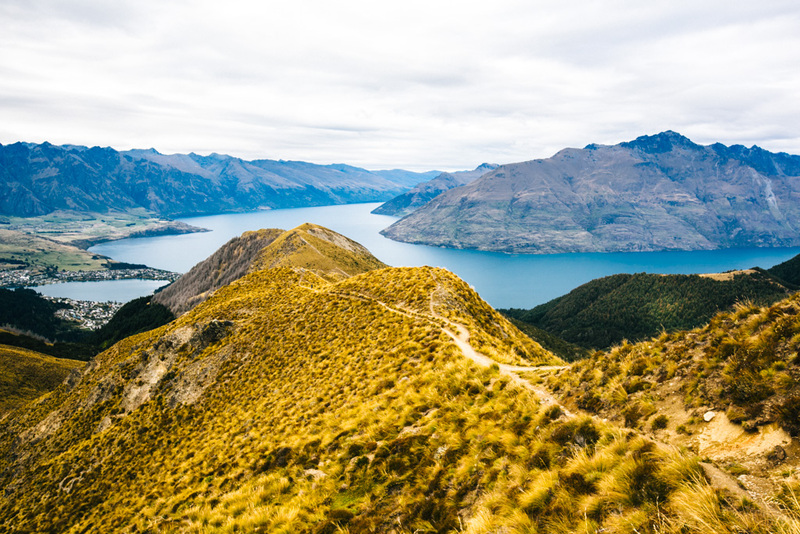 You’ll know you’ve reached it when you see the sign directing you towards the summit and a whole lot of open space just off the trail (which by the way is a lovely place to stop for a snack or lunch break – or to camp overnight, if you’re willing to lug a tent and all your camping gear). There are a couple of side trails that lead off onto ledges nearby – highly recommend exploring those as well, if you have time to spare! 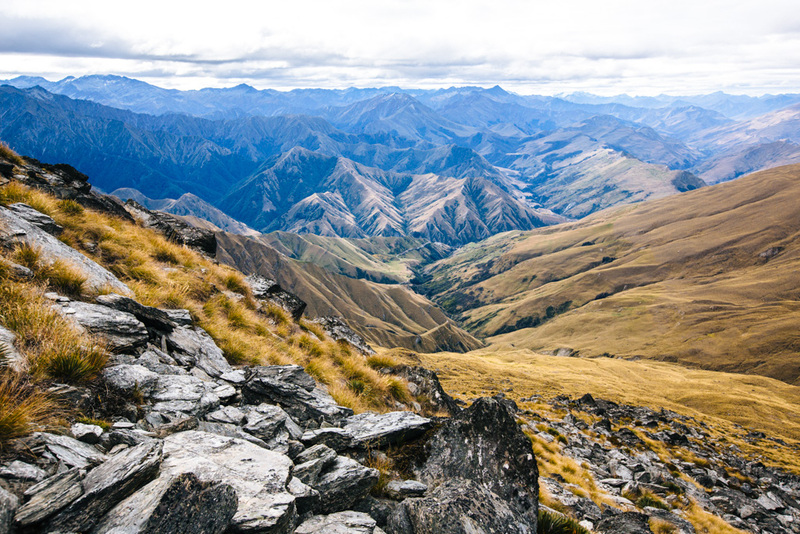 Otherwise, expect to spend 3-4 hours return hiking to the Ben Lomond Saddle. 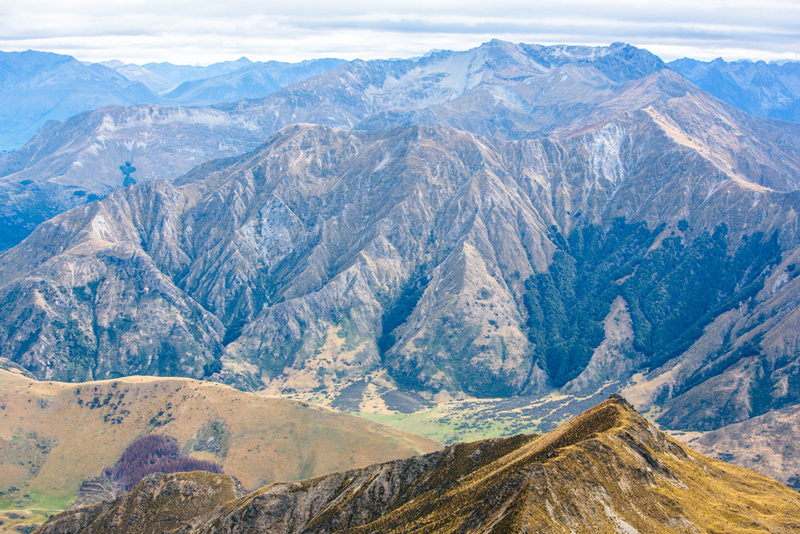 I enjoyed the view from the saddle so much that I wondered if I should bother carrying on to the summit. 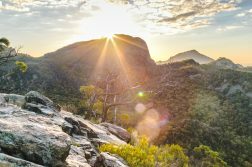 In this, and most every other hiking scenario (or really, life scenario), I found that YES – it’s always worth exerting that extra bit of effort. 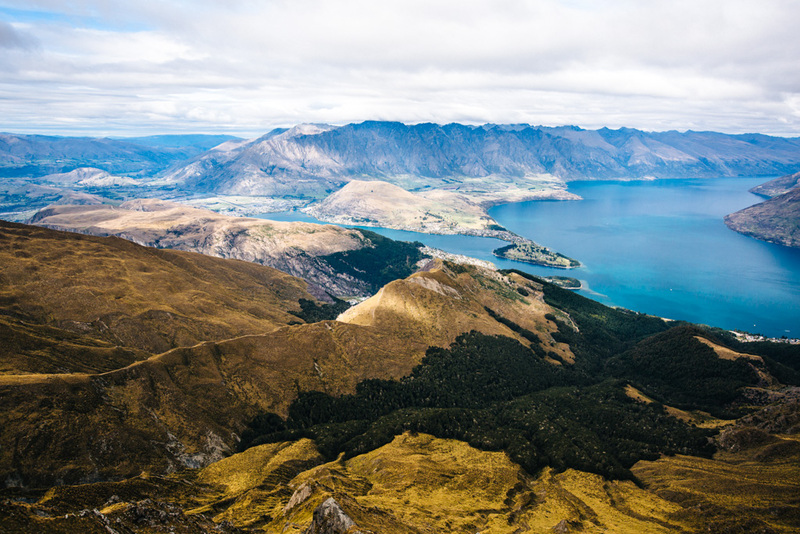 Be sure to hike all the way up to the Ben Lomond Summit. 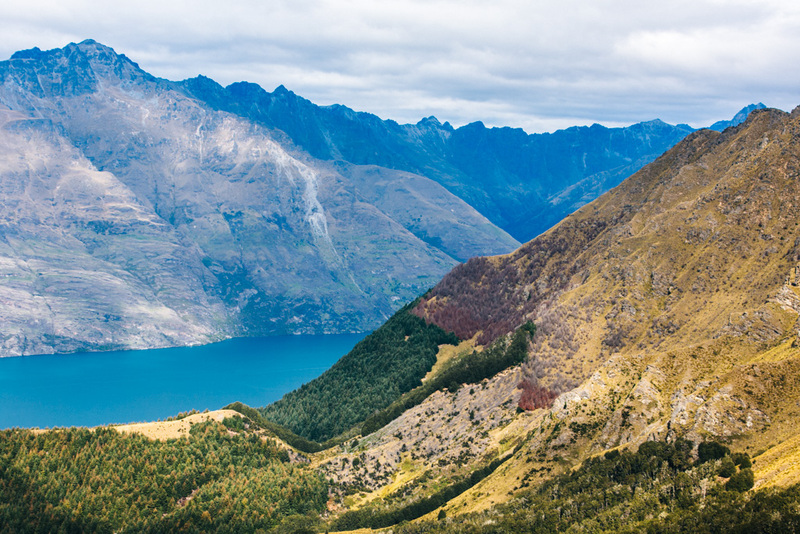 This is THE place to enjoy 360-degree views of Queenstown and the surrounding mountain ranges. There’s simply no other view like it. 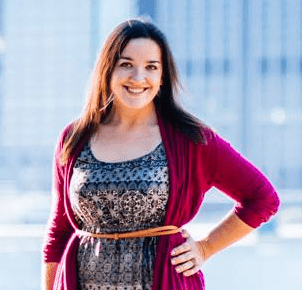 If you decide to go all the way to the Ben Lomond Summit, expect the total hike to take 6-8 hours (according to the DOC). I shamelessly hugged the longer side of that time estimate thanks to plentiful photo, snack, and water breaks. 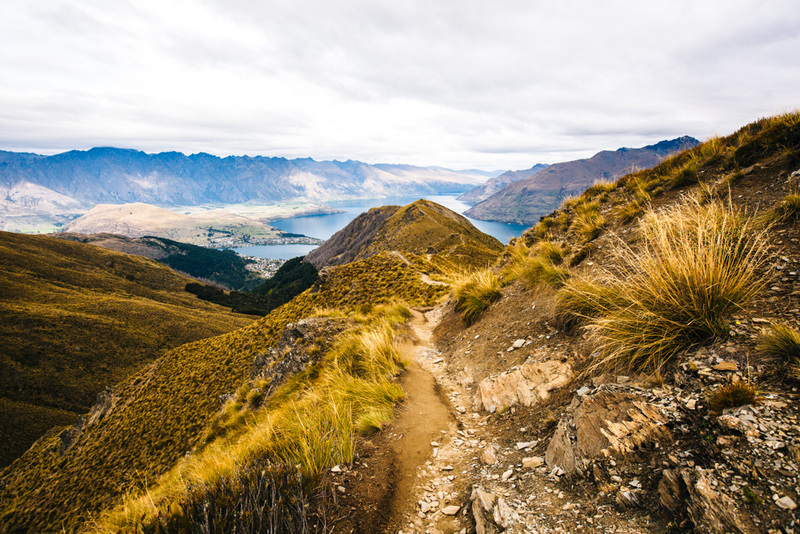 The trail morphs into a steep uphill climb from saddle to summit. If you’re anything like me, you’ll be sweating through your layers in no time and downing water like it’s going out of style. Take as many breaks as you need to – remember, it’s not a race! Things start getting really pretty as you get higher up here. 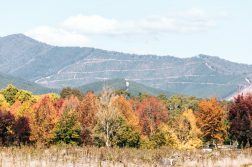 More and more of the mountain ranges to the east and north begin to reveal themselves. Look at all those layers! Ugh, so darn gorgeous. Then finally you reach the summit and it’s everything you hoped would be at the end of a grueling uphill battle against the last part of the track. Gorgeous mountains in every direction, and a deep blue lake to the south. Why am I even attempting to explain away this view in words? Pretty pointless, really, when a panoramic photo can do an infinitely better job. While I had stripped off all my layers on the hike up to the Ben Lomond Summit, once I reached the top I quickly threw them back on along with my hat and gloves. It’s windy up there! Definitely pack layers so you can maximize your time spent soaking in the views while not freezing half to death. It’d be a shame to head right back down because you’re ill-prepared to face the cold winds. 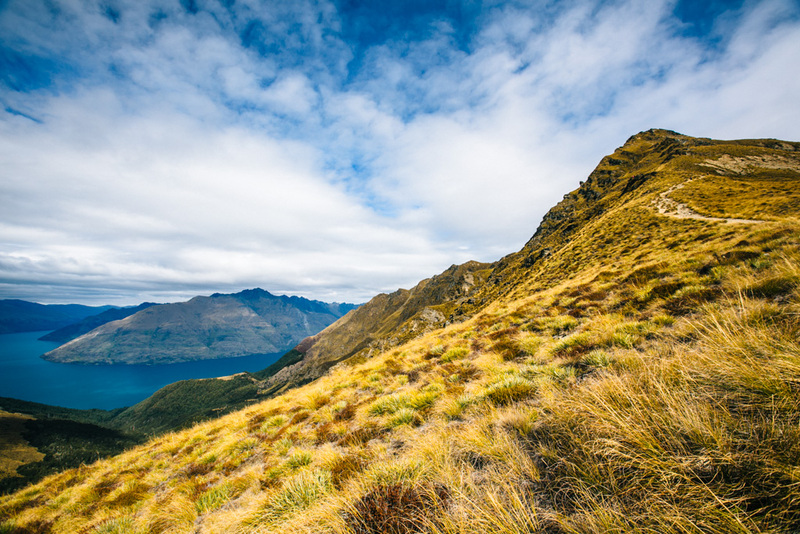 The Ben Lomond Track is a fairly straightforward hike. The trail is easy to follow, though I will say that there was one part of it below the tree line where I missed a turn going back down and ended up at a dead end, all dazed and confused. But then I just retraced my steps back to the trail and easily corrected myself, no harm done. Going up this section was no problem at all, though. Also, the only place you can refill your water on the trail is about halfway up the below-the-tree-line segment, where all of the mountain bike trails intersect. There’s no fresh water above the tree line (though I suppose you could always detour to the Skyline and grab some water there if you were desperate). 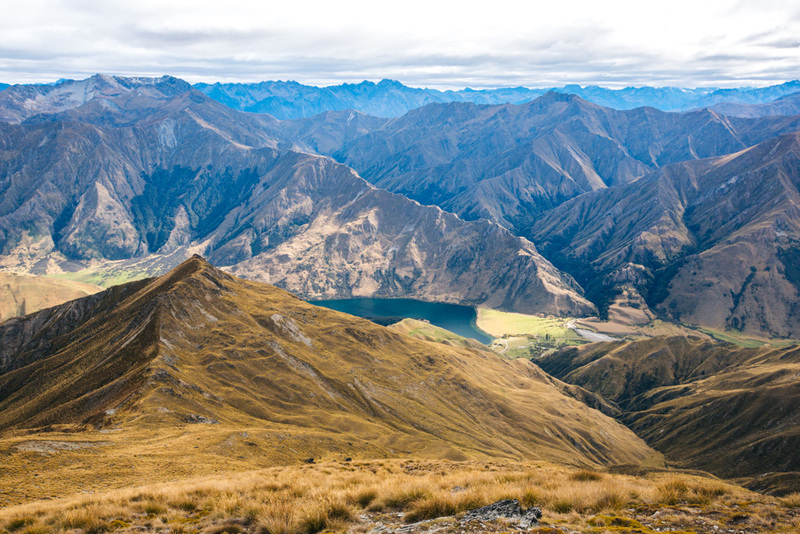 Have you done any hiking in Queenstown? 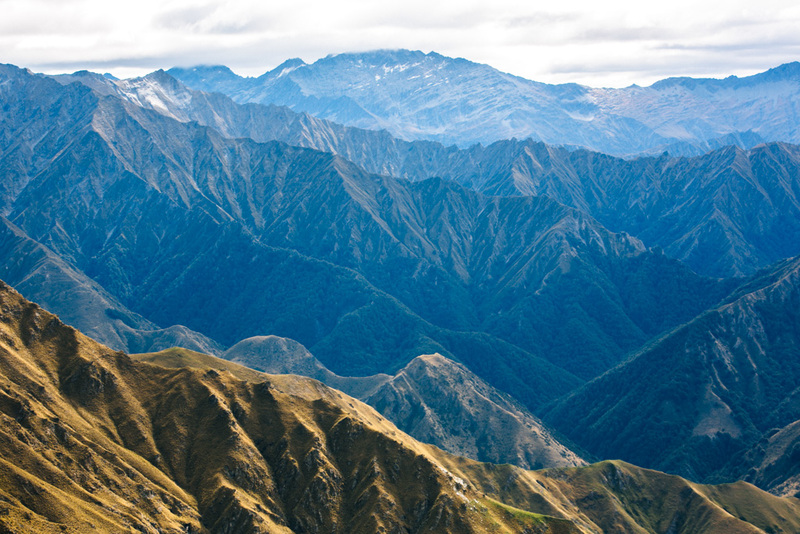 What other NZ hikes would you recommend?